Look at the photo above. What do you notice about? Yes, it states that “Change is good.” That’s a good thing of course. But, notice what the entire sculpture is made out of – plastic straws! These are the last of A&W Canada’s stock of plastic straws. The Canadian chain has been moving to paper straws over the last few months, and to celebrate the transition, it used its last 140,000 plastic straws to make the 35-foot sculpture. Last summer, A&W Food Services of Canada promised to reduce landfill by eliminating the plastic straws. It was the first quick-service restaurant chain in North America to make such a bold promise to improve the environment. The company estimates that the change will keep 82 million plastic straws from littering the oceans and land. The ban on the plastic straws is one part of the company’s environmental initiatives which include food sources, packaging, energy, water usage, and waste. Discuss the impact of environmental concerns on companies. What are companies doing about these concerns? What does this move do for the company’s brand? How does A&W’s commitment impact its positioning in the marketplace? Source: Griner, D. (11 January, 2019). A&W Canada used the last of its plastic straws to make a sculpture announcing the change. AdWeek. In December 2017, the Federal Communications Commission (FCC) repealed the net neutrality rules that guided businesses providing Internet access. The revised ruling potentially allows Internet Service Providers (ISP) to charge different rates for different Internet speeds and services. In essence, ISPs can charge customers more to get faster Internet speeds. And, customers who pay less would receive slower Internet speeds. Unfortunately, net neutrality can be complicated to explain and is not always fully understood by many consumers. Enter: Burger King, using a Whopper to help explain how net neutrality works. Whoppers? Those aren’t very technical. No, but they are a product that consumers expect to receive quickly (no matter what the price is). What would happen if a customer had to pay more to get a Whopper quickly? Or, as Burger King explains, what is the mpbs* for the service, and how much is a customer willing to pay for it (*Making Burgers per Second)? Burger King set up a hidden camera at a restaurant location and watched how real customers reacted to having to wait longer for their burgers as employees deliberately slowed down their services. Customers could choose from slow mbps ($4.99/Whopper), fast mbps ($12.99), or hyper-fast mbps ($25.99). The results were hysterical, and revealing. How much are you willing to pay for your Whopper (and Internet access)? The video clearly hit home with customers and went viral, racking up nearly 16 million views in less than a week! Start by asking students to define net neutrality. Ask them about the recent FCC decision on net neutrality? What are student opinions about it? For or against, and why? After viewing the video, did anyone change their opinion? Have each team develop an explanation using metaphors (such as Burger King did) to help consumers understand the implications of these complicated topics. Source: Nudd, T. (24 Jan., 2018). Burger King deviously explains net neutrality by making people wait longer for their Whoppers. Ad Week. Many organizations often have complicated marketing messages. They need to state the need they meet, how the public and government can help, and build relationships with donors. This is especially true with nonprofit organizations where the messages can be replete with complex jargon and hard-to-understand programs. Nonprofit organizations need to provide clear explanation of goals and convince people to support its causes. Many nonprofit organizations have a difficult time competing – after all, there are no bad causes, only causes that either resonate – or not – with prospective donors. The Colon Cancer Alliance is one of these types of organizations, and they eventually turned to marketing professionals for help in recrafting messages and marketing programs. 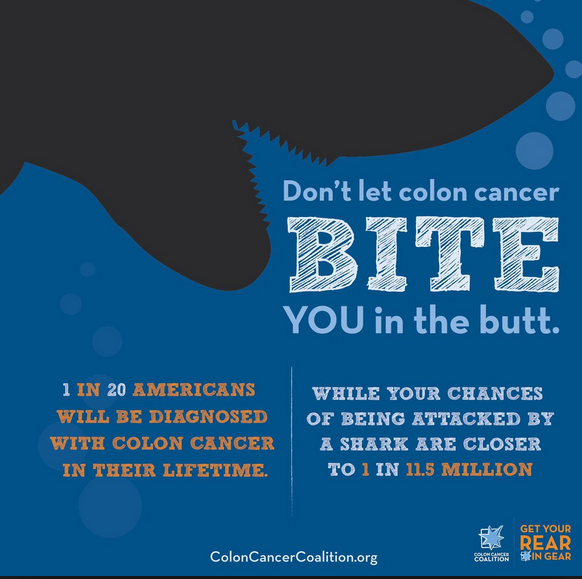 One of the campaigns that they used during Shark Week called out the fact that while sharks attack only 16 people per year, more than 130,000 people each year are diagnosed with colon cancer! Even words such as “disabled” or “disability” or “disease” can cause confusion and concern. These are broad phrases that can be applied to virtually any illness. Be specific in the messages, audiences, and treatments. After all, even nonprofits have competitors. Have each team select a different nonprofit organization to examine. Review and revise the message and vision of the nonprofit. Develop a marketing program for it that is creative and catchy. Have students vote on the most effective campaign. How should it be deployed?